The KEEPSAKE treasure box by Wine Country Craftsman is made from recycled large wine tank wood and steel wine barrel rings. They dry the wood for a year before carefully selecting the perfect pieces to make these keepsake boxes. Each piece is sanded and sealed with a clear UV finish to highlight the naturally occurring color of the wine-soaked wood. 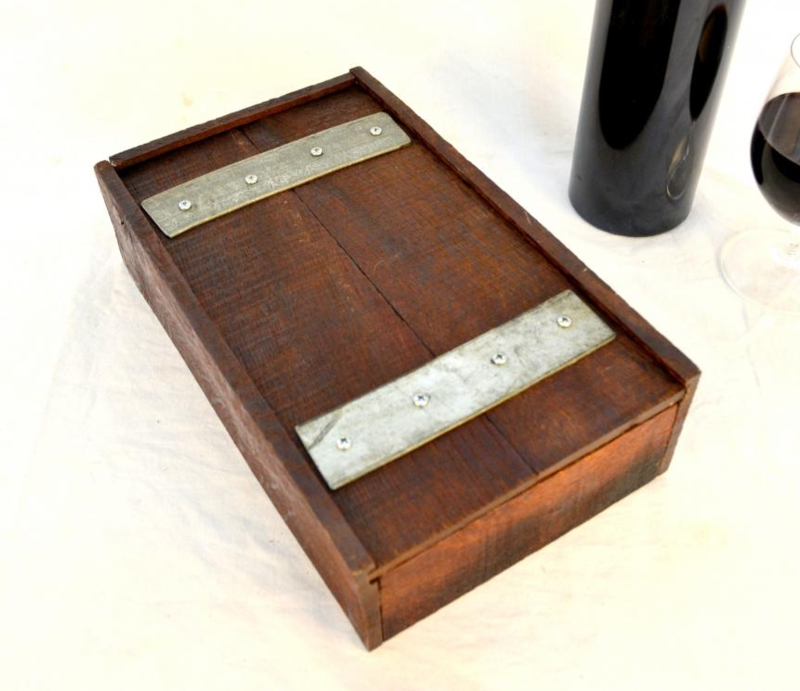 A rustic wood and metal piece with a sliding lid that shows the hardware used in assembly. Handcrafted from locally sourced materials in the heart of California wine country our holiday collection is a unique way to commemorate the special events in your life. Dimensions: 12" x 8" x 3"